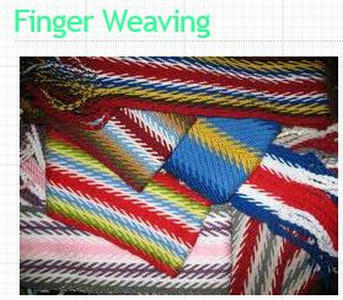 Finger weaving is an "off the loom" type of weaving that can be done anywhere. The results are stunning. To see how it's done, visit this tutorial by Nordic Needle.